Several different versions say it this way, as to what Christ did on our behalf at the cross, "When he had cleansed us," and "When he had by himself purged our sins." What kind of man does this? I know I have said of Christ that He was known in scripture as "A man of sorrows," but He's more than that too. He is the Son of God and the Son of Man. He's the perfect man. It makes me think back to when God blessed Abraham so much that He gave to him a son in his old age. He tells Abraham, "Go to a place I will show you. There you will offer up your son." Powerful stuff. Abraham didn't even get to where his hand shed blood. Instead, we're told, "Do not lay your hand on the lad, or do anything to him; for now I know that you fear God, since you have not withheld your son, your only son, from Me" (Genesis 22:12). If anything, and I do believe this, God was showing Abraham what He was going to do on our behalf. Except in this case, God was sending His only Son, Jesus Christ, to take away our sins. Can you imagine His grief having to do that so we could have access to Him? And yet it is us who slap Him in the face still, even in His righteous love for us. There's little wonder why Paul writes at the beginning of Romans, "For having known God, they glorified Him not as God, or were thankful; but they became futile in their thinking and their foolish heart was darkened" (1:21). The wonderful part is that should we be thankful for what God did for us on our part, we would have hearts that are in the light and not in darkness. We would glorify God as He is: God. It would make our thoughts of Him effective. So, I would suffice it to say that the writers of Hebrews is penning the words this way, "The Son ·reflects the glory of God and shows exactly what God is like. He with his powerful word. When the Son made people clean from their sins, he sat down at the right ·side of God, the Great One in heaven" (Hebrews 1:3, Expanded Bible). 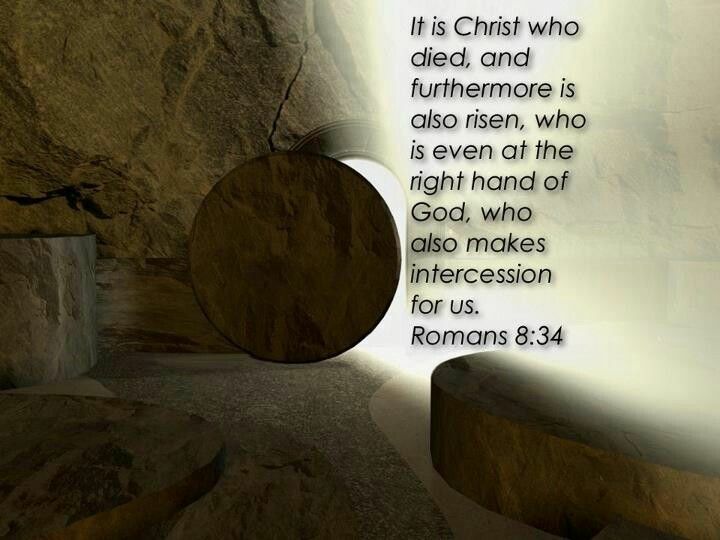 It is only in this sense Christ still works for us, where He intercedes with us when we pray (see Romans 8:34). But even after that Christ is at rest, so should we--in Him. But what it really means for us, as believers, is when we see Christ doing this--sitting down at God's right hand--He's done in doing what He said He would do. And He did this "After making purification for sins" (Hebrews 1:3). It means we now have been made righteous through His blood. Yes, we work things out continuously in our faith, but the work Christ has done on our behalf is done. In that sense we can rest easily and assuredly. His sacrifice is ours. I pray this helps you out today in your walk with Jesus Christ. It is in His name I pray. Amen.